The Escanaba City Council gave its approval Wednesday night to move ahead on developing a solar energy garden in the city. 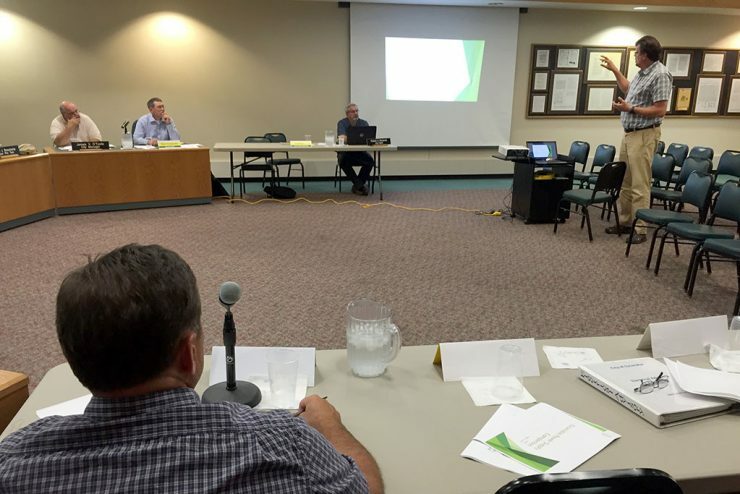 At a joint meeting with the Electric Advisory Committee, Glendon Brown gave a presentation on the possibility of a solar garden in Escanaba. ESCANABA – The state of Michigan is dumping released felons in Escanaba and the city of Escanaba wants it stopped. City Manager Jim O’Toole said they started noticing a trend after Escanaba Public Safety asked a person arrested for shoplifting why he was in Escanaba. 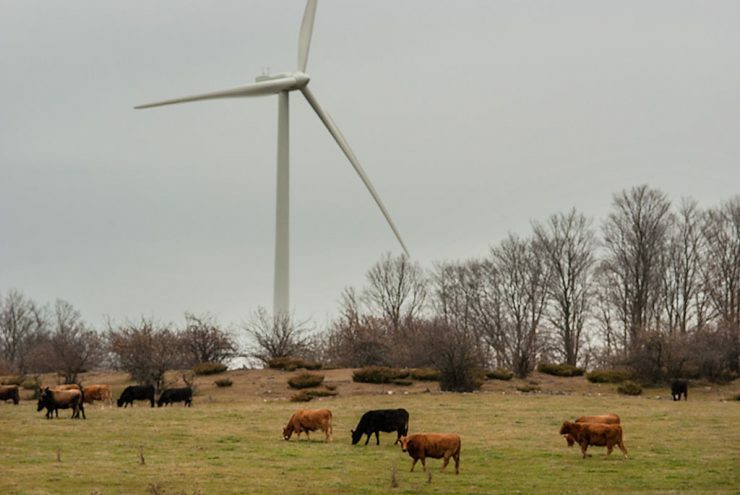 ESCANABA – The Delta County Board of Commissioners opted Tuesday not to pass a moratorium on building additional windmills on the Garden Peninsula. The county’s planning commission is currently looking at possible regulations concerning wind turbines in the county. MARQUETTE – About 400 municipal officials are attending the Michigan Municipal League’s statewide convention this week in Marquette. LANSING – Ironwood is one of 12 cities in the state to benefit from a $75 million federal program to combat blight. Gov. 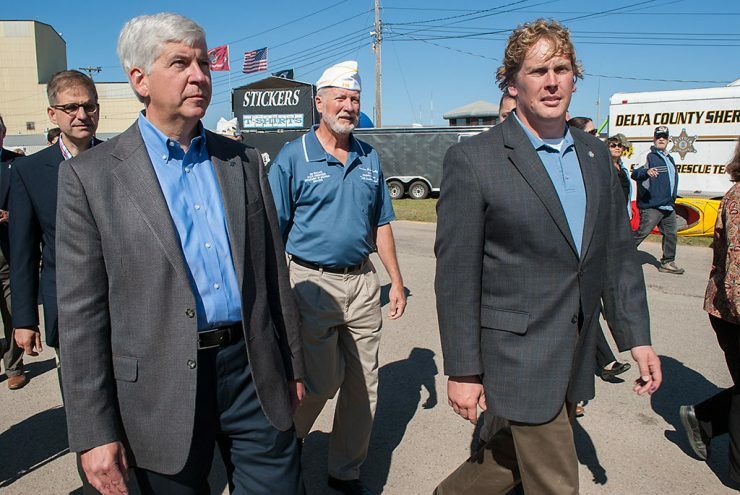 Rick Snyder today announced that the funding for the Michigan State Housing Development Authority (MSHDA) has been approved by the U.S. Department of Treasury. LANSING – The Michigan House of Representatives gave final approval on Wednesday to a bill that would continue to allow wolf hunting in the Upper Peninsula. The vote was 65-to-43. ESCANABA – Union members with Teamsters Local 406 representing Escanaba Public Safety officers and dispatch at voted down a three year collective bargaining agreement Wednesday. The vote was 18 to 7. Escanaba City Manager Jim O’Toole says the agreement was reached through mediation. ESCANABA – State Rep. Ed McBroom, R-Vulcan, wants to protect the title of “state fair” for the Upper Peninsula State Fair by allowing the Department of Agriculture to designate only one other state fair in the state.